Ever see a layout and fall in love with it? Well I sure do. Scrapbook etc. had a layout that I saw and thought it would be cute to scrap-lift. What is scrap-lifting? It is simply using someone else’s layout for inspiration. It is hard with so many pictures and so many pages to come up with new ideas each and every time we create layouts. That is why you should consider scrap-lifting as a way of staying fresh in your designs. Here is the layout I used for inspiration. And this is how that layout turned out. 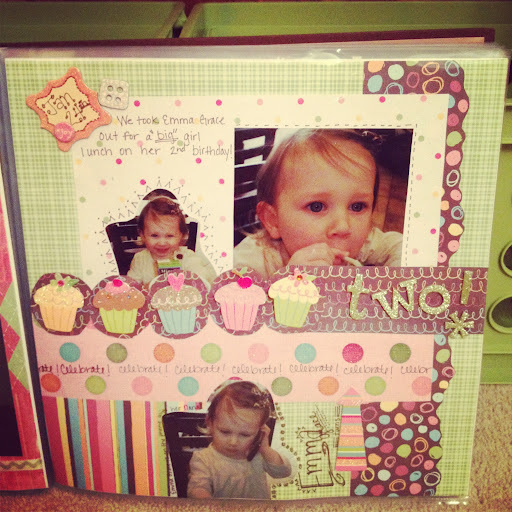 This is one of my all time favorite scrapbook pages that I have done. I used glittered alpha stickers to spell out two since I had already used the number in the sheet of stickers. 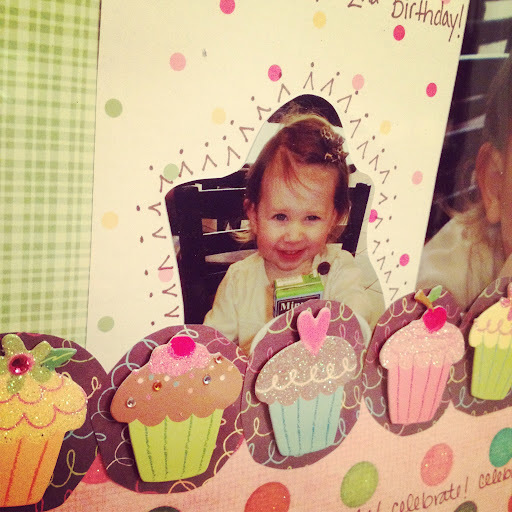 I had some cute cupcakes to line up just like the original layout from Scrapbook etc.’s page. I am so proud! Even if I did get some help from Scrapbooks etc. along the way. It doesn’t need to be an exact replica of the original layout. This method this simply used for inspiration. So use it to your advantage, rather it be to journal, photos to take, papers/colors/patterns to use, etc. Have fun with it. 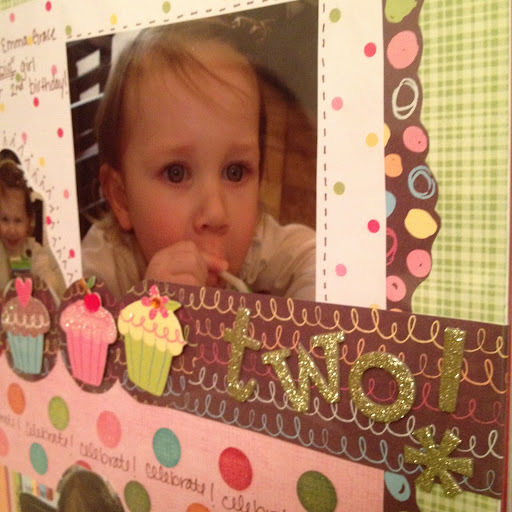 Do you see other layouts and like to use the inspiration in your own pages? What is one of your most favorite layouts you have ever created?